100% of State Farm auto damage appraisers have taken I-CAR aluminum F-150 course — have you? State Farm sent 100 percent of its auto physical damage appraisers to the I-CAR aluminum F-150 structural repair course, according to the educational organization. Not only is that a better turnout than its insurance competitors, it seems ahead of even the collision repair industry in learning about the redesign of the most popular vehicle in America. In 2015, 2,582 collision repair businesses had at least one technician take the course, according to I-CAR data released Tuesday. Data for calendar-year 2014 wasn’t available, but only 5,000 organizations — repairers, insurers and others — sent students to the course between May 2014 and June 2015. About 63 percent of students came from auto body shops. So say half of 3,150 shops plus the 2,582 from 2015, and we’re talking 4,147 shops. By definition, not all of those businesses counted by the Census are going to do structural repairs on F-150s. But double or triple that figure, and it’d still need improvement. It’s important to note that the F-150 structural course alone doesn’t mean a shop is ready to conduct actual aluminum repairs on the F-150 or any other aluminum vehicle, nor does it automatically grant certification to the OEM’s repair network. You’ll need other training and equipment as well as OEM procedures for both. And knowing how to fix one aluminum vehicle like the F-150 certainly doesn’t mean you know how to fix another model, OEMs stress. It doesn’t even necessarily mean you know how to fix the same aluminum. 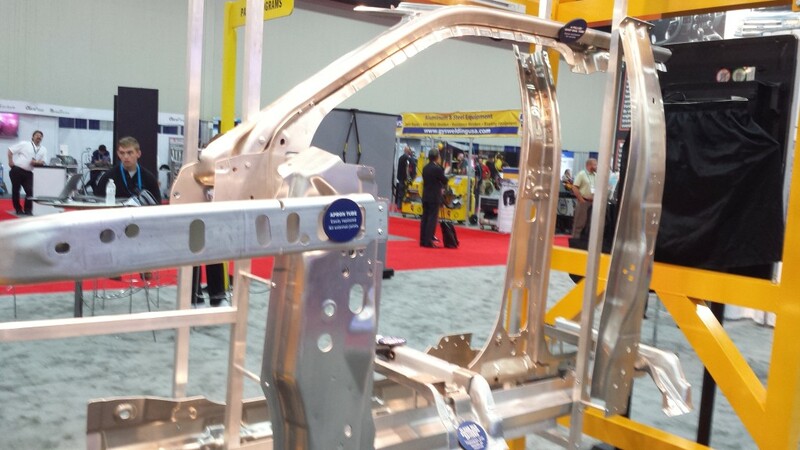 Automakers have access to a variety of aluminum grades, which look identical but behave differently, and the alloy portfolio available to OEMs is growing, Kaiser Aluminum engineering and technology Vice President Doug Richman said at the OEM Collision Repair Technical Summit last year. That makes it vital for auto body shops to refer to automaker repair procedures before working on the metal, he said — or else they’d have no idea which metal was which. But those caveats should provide even more impetus to gain as much knowledge as possible. Get to class, industry. You too, insurers. 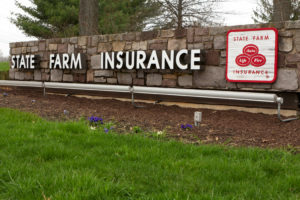 Based on I-CAR’s data, nobody but State Farm has trained all of their damage appraisers on a vehicle which sold more than 780,000 last year. Wesselink didn’t have data for other insurance industry turnout rates. However, based on more crude napkin math, it isn’t great either: around 9,000 appraisers by the end of 2015 taking the F-150 course. The training for insurers is identical to the course taken by technicians, Wesselink said. Hopefully, that leads to a better conversation between shops and State Farm on the vehicle and no hassle over the need to perform and be paid for OEM procedures. Unfortunately, in some markets it doesn’t seem to have swayed State Farm on recognizing higher posted labor rates for aluminum work, despite all the equipment necessary for a shop to do it and the extra care demanded. State Farm has treated the aluminum F-150 the same as the 2014 steel F-150 for premium-calculating purposes, and reports from repairers indicate it and another Top 10 insurer have challenged aluminum rates.